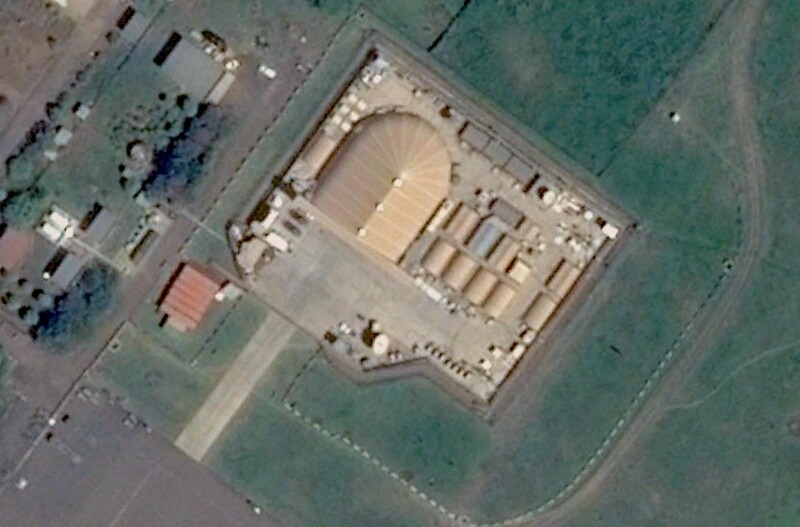 The U.S. is expected to close the drone base at Arba Minch, Ethiopia. Image via CNES/Astrium. 2015 was a busy year in the drone world. As we head into 2016, we looked back at the biggest news stories of the year. Here’s the 2015 Drone Year in Review. At Motherboard, Jason Koebler writes that the Federal Aviation Administration has shut down at least three dozen model aircraft flying clubs around Washington, D.C.
At the Wall Street Journal, Mike Billings writes that investment in drone startup companies skyrocketed in 2015. At the Asia Times, Bill Gertz argues that Chinese drones are made using stolen design data from the United States. At the Sydney Morning Herald, Nick Bryant examines Peter W. Singer’s vision of what the future holds for military robots and drones. At CNBC, Jacob Pramuk writes that the federal government and local governments are increasingly finding themselves at odds over who has authority to regulate drones. At Al Monitor, Metin Gurcan writes that a recent drone test is evidence that Turkey is investing heavily in armed drones. At Frost and Sullivan, Michael Blades published a lengthy study of the commercial drone market. At Gizmag, Nick Lavars put together a gallery of a few of the best drone images of 2015. At the Diplomat, Franz-Stefan Gady writes that Vietnam’s new drone will be used to patrol the South China Sea in 2016. Endgadget takes a look at the world’s smallest camera-equipped drone. The Wall Street Journal takes a closer look at ADS-B systems, a type of transponder that could be used to help prevent collisions between drones and manned aircraft.